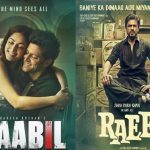 More than two weeks back released much awaited Hindi offerings, Raees & Kaabil have passed their third weekend silently on domestic box office due to new release Akshay Kumar’s Jolly LLB 2. The latest one has hijacked the box office completely and heading excellently with strong word of mouth. As a result, these existing ones have lost almost all its hold over audience. 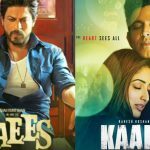 Being superstar Shahrukh Khan starrer, Raees was released with enormous hype among his fans and as expected reported excellent business throughout the opening week. It raked the amount of 118.36 crores with 93.24 crores of weekend and 25.12 crores of weekdays. Then in the second week, it faced abrupt drop and registered the business of 16.40 crores with 11.55 crores of weekend and 4.85 crores of weekdays. 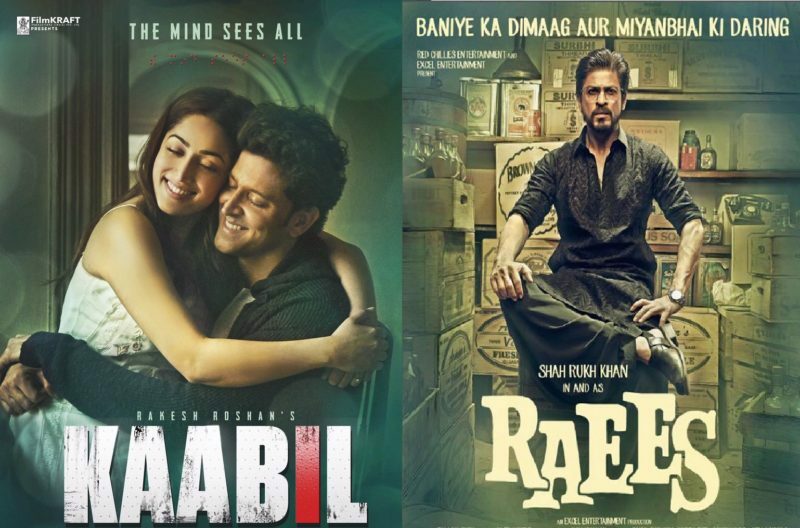 Now the movie is running in its third week and has Jolly LLB 2 in opposite along with Kaabil. On 3rd Friday, Rahul Dholakia’s directorial collected 0.30 crore with 70% of drop. 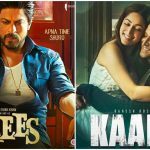 Then with slight growth, Raees minted the amount of 0.55 crore on Saturday and 0.80 crore on Sunday, which has made its total collection after third weekend as 136.41 crores. On the other hand, superstar Hrithik Roshan‘s Kaabil was also released with immense excitement of his fans and reported good business in the opening week with 82.18 crores including 67.46 crores of weekend and 14.72 crores of weekdays. In the second week, it did little higher business of 17.09 crores (11.71 crores of weekend & 5.38 crores of weekdays) than Raees. 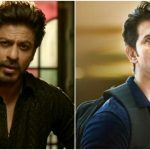 In third weekend Sanjay Gupta’s directorial reported the business of 2.65 crores including 0.55 crore of Friday, 0.90 crore of Saturday and 1.20 crore of Sunday. In its third weekend, Kaabil has finally entered in 100 crore club domestically and reported total 19 days total business of 101.92 crores domestically. Let see how much more, both the movies can add in their account from now.